The building at 211 Main Street, New Castle, Virginia has a long history. 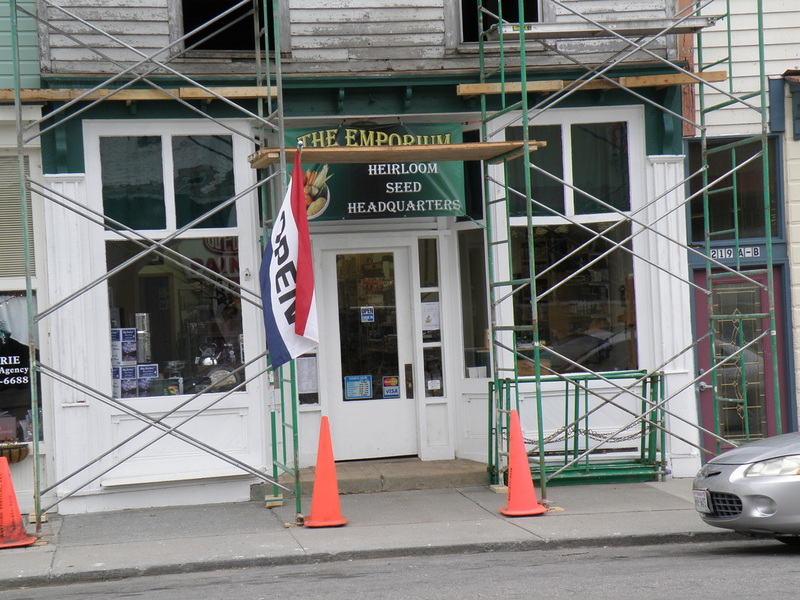 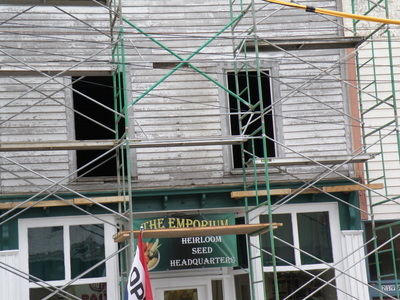 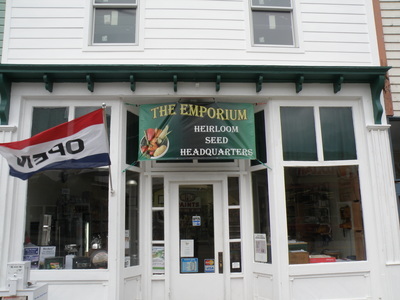 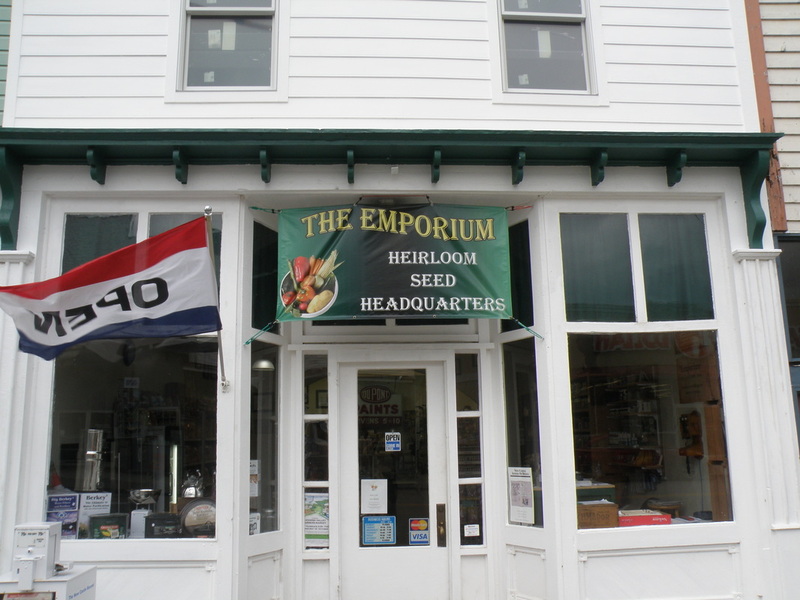 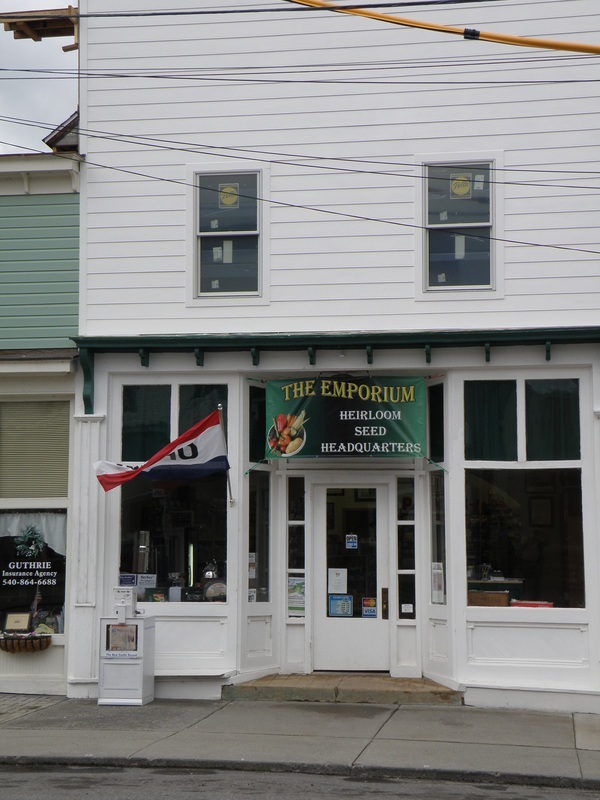 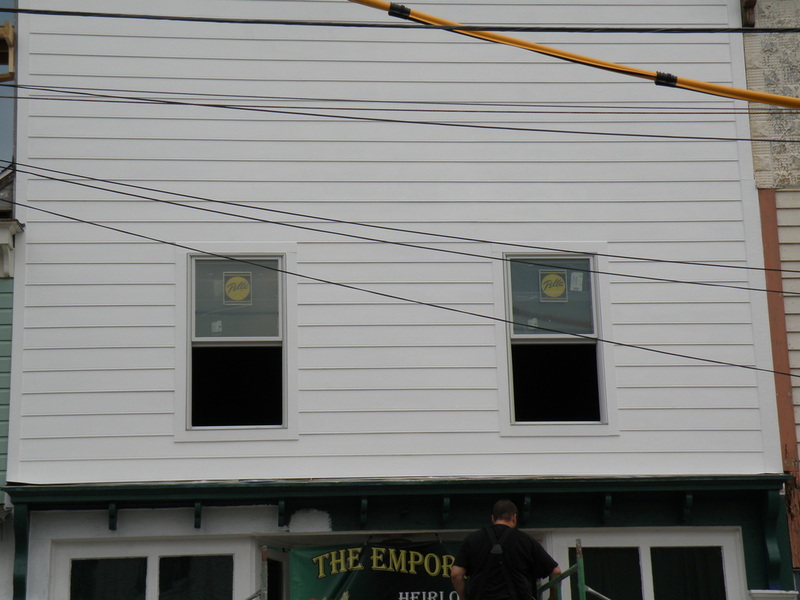 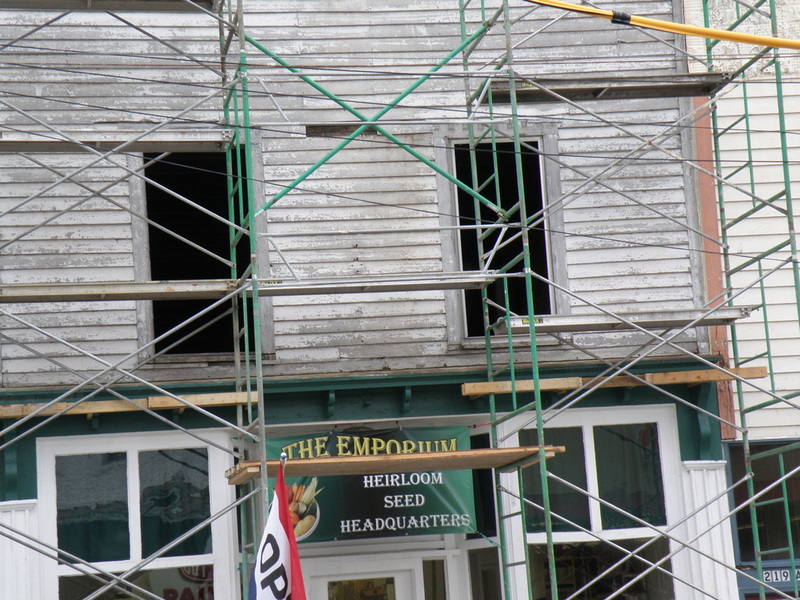 When The Emporium moved into the building in September 2011, to say "it had seen better days" was an understatement. 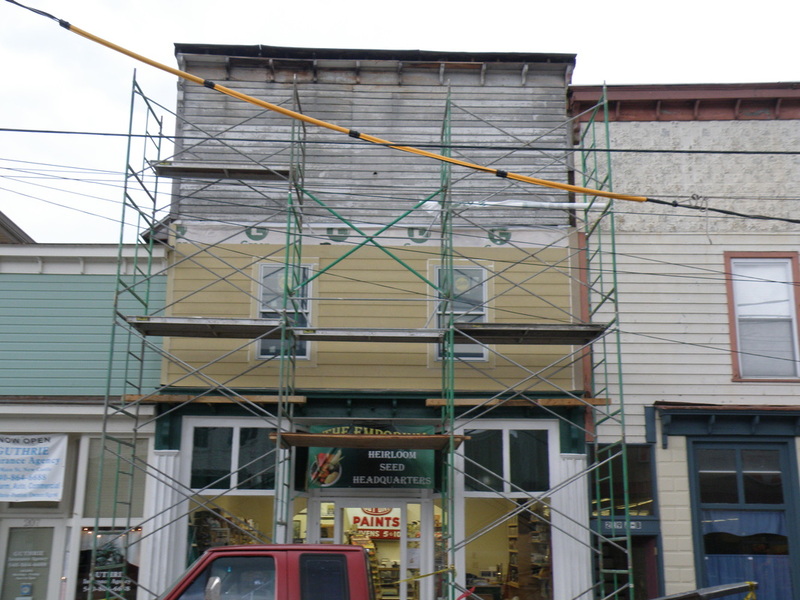 We knew it was an old building - but it still had great potential. 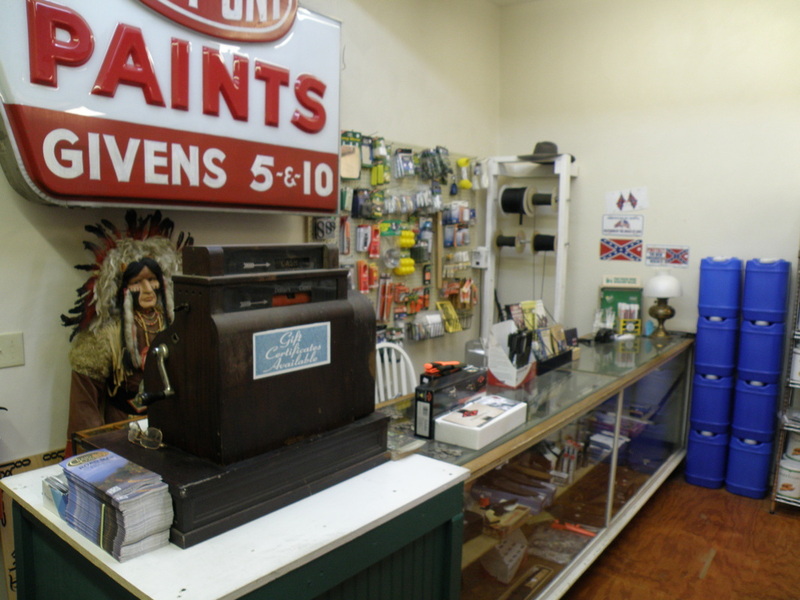 It's value as part of New Castle and Craig County history cannot be measured. 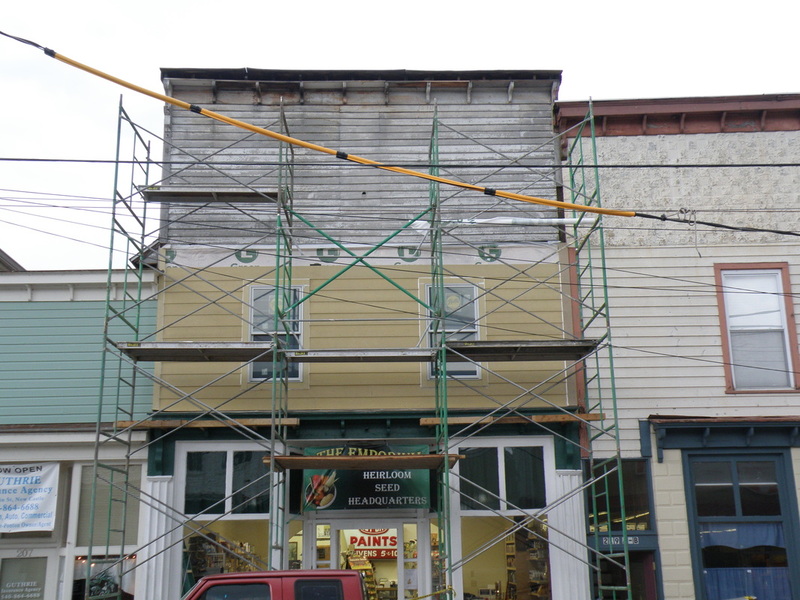 We moved into the small finished front - about 20' x 20' and since then many improvements - not all visible to the customer - have been made. 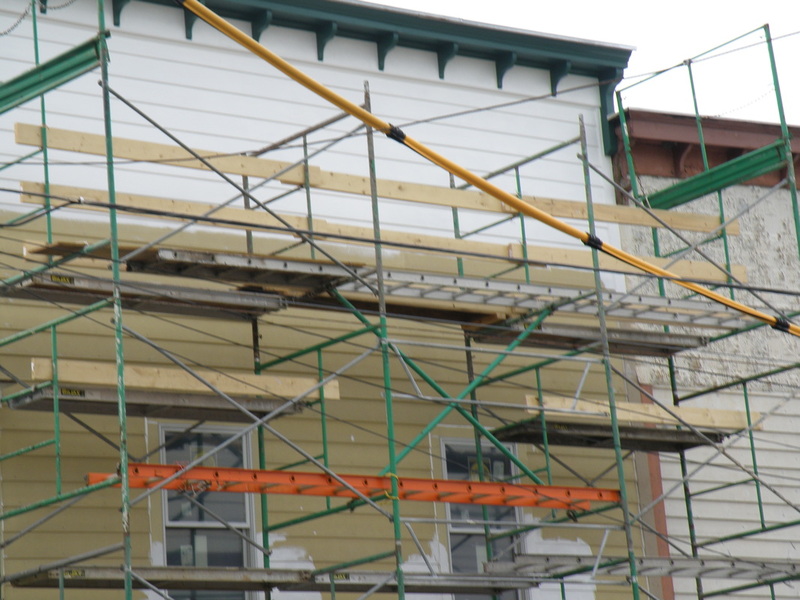 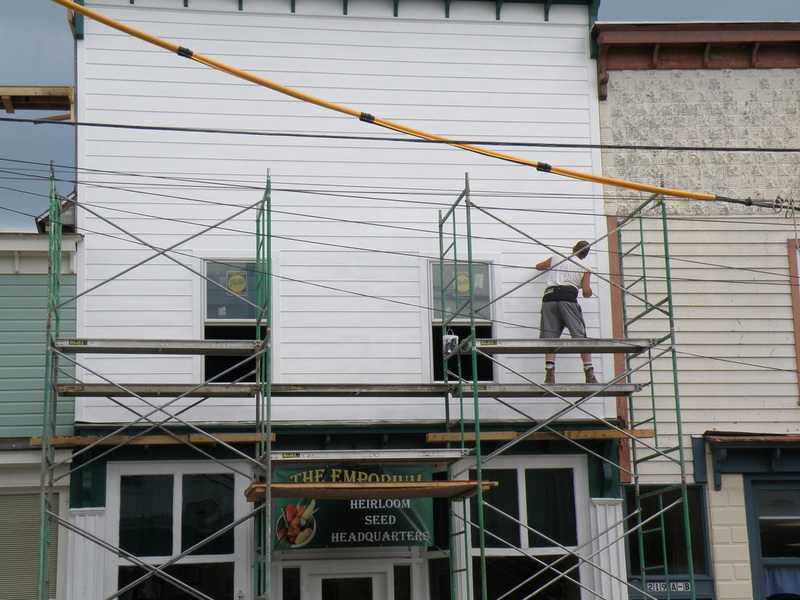 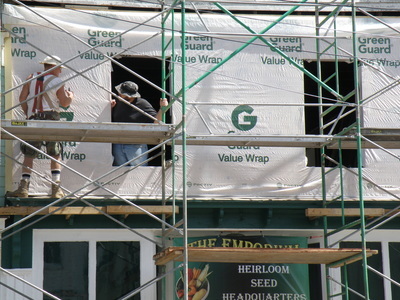 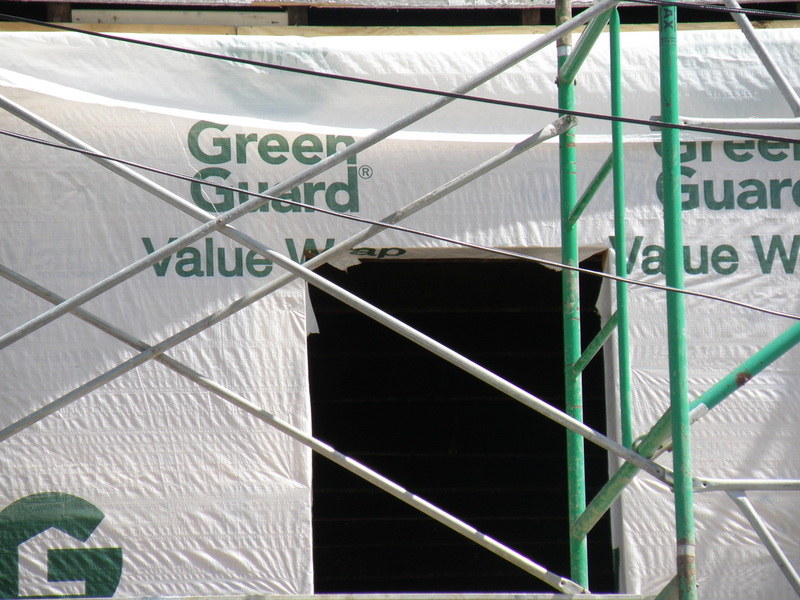 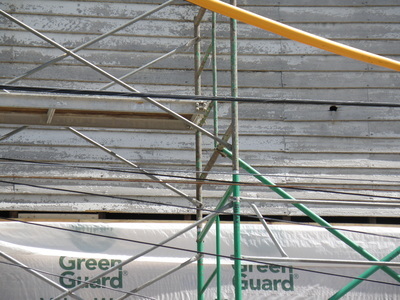 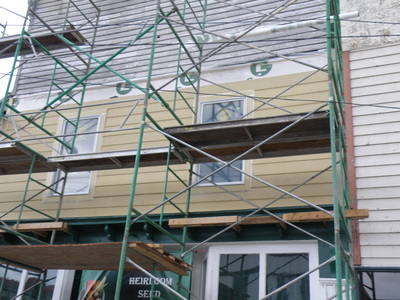 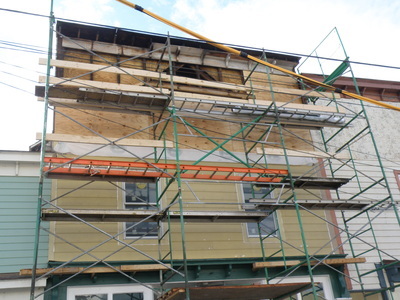 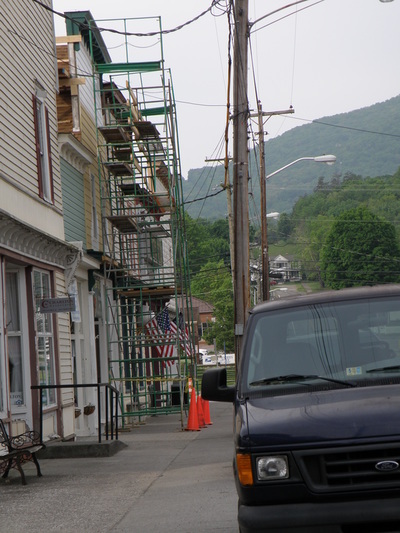 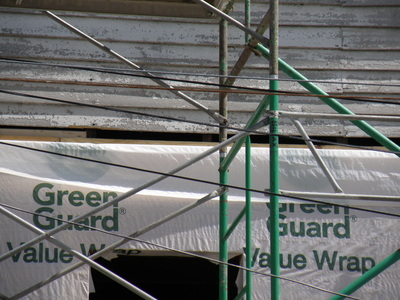 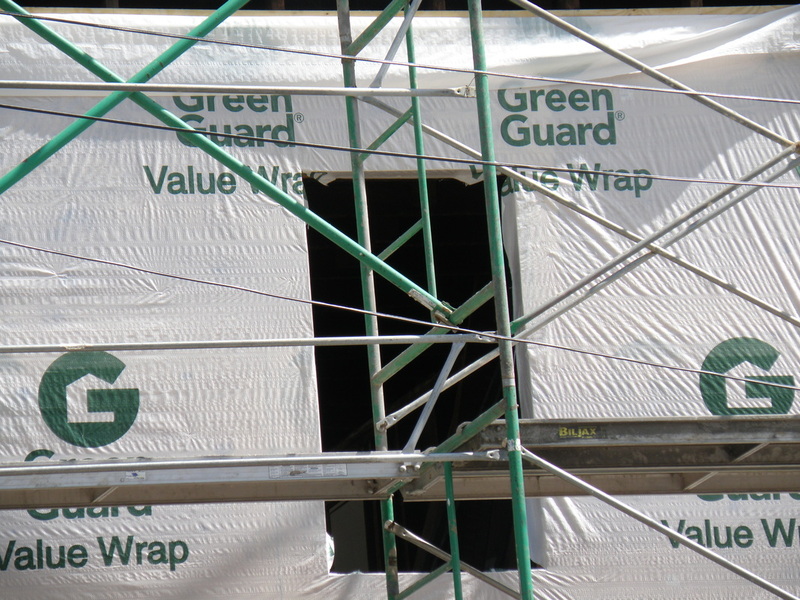 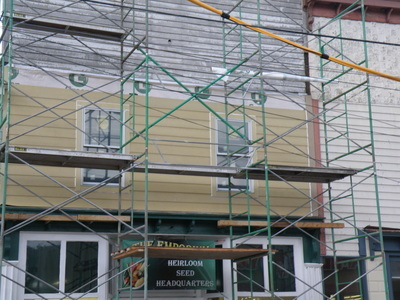 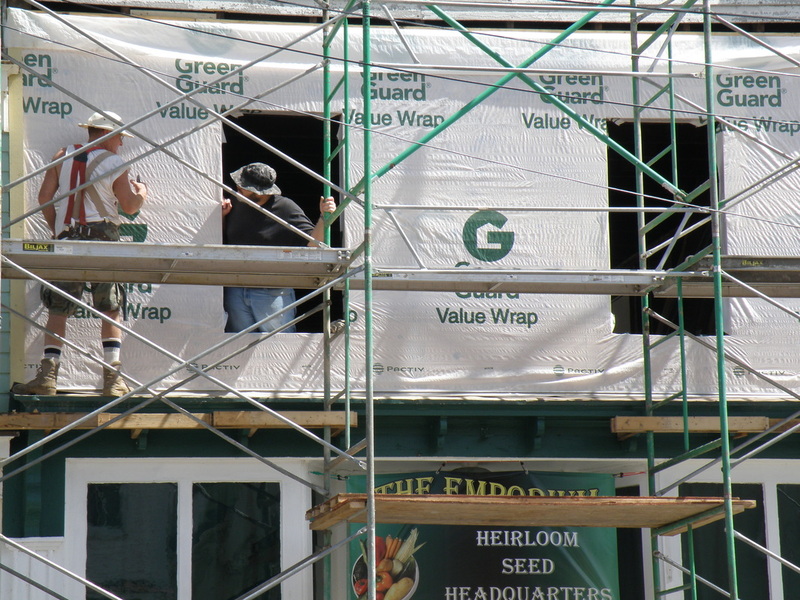 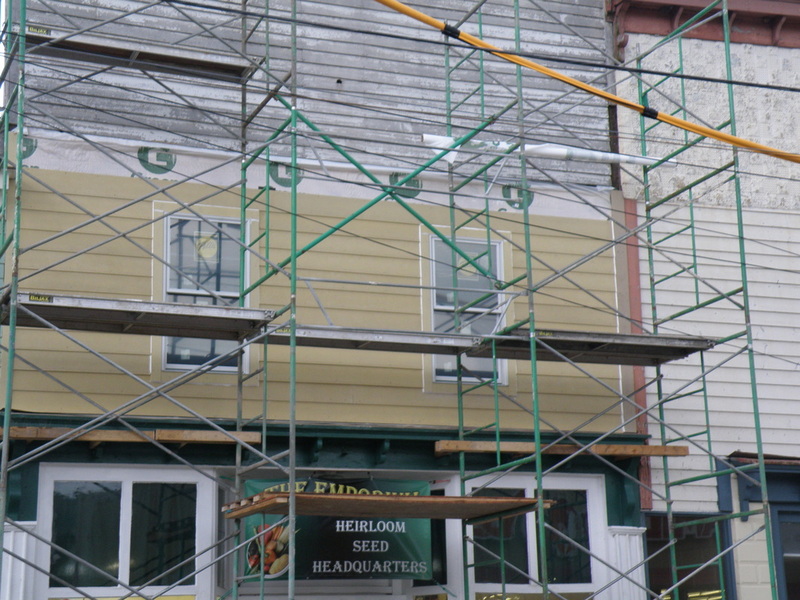 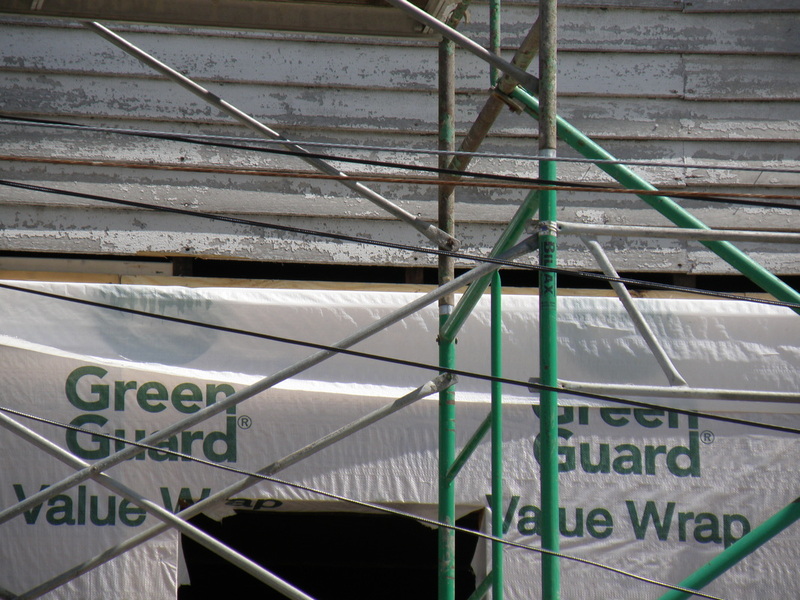 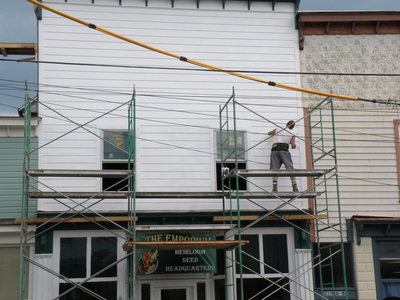 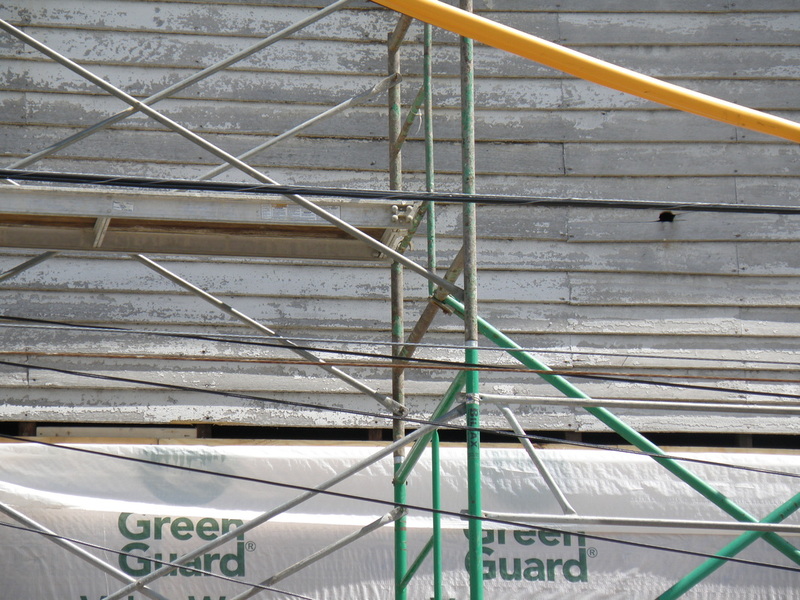 Recently, a concerted effort was made to finish the outside of the building. 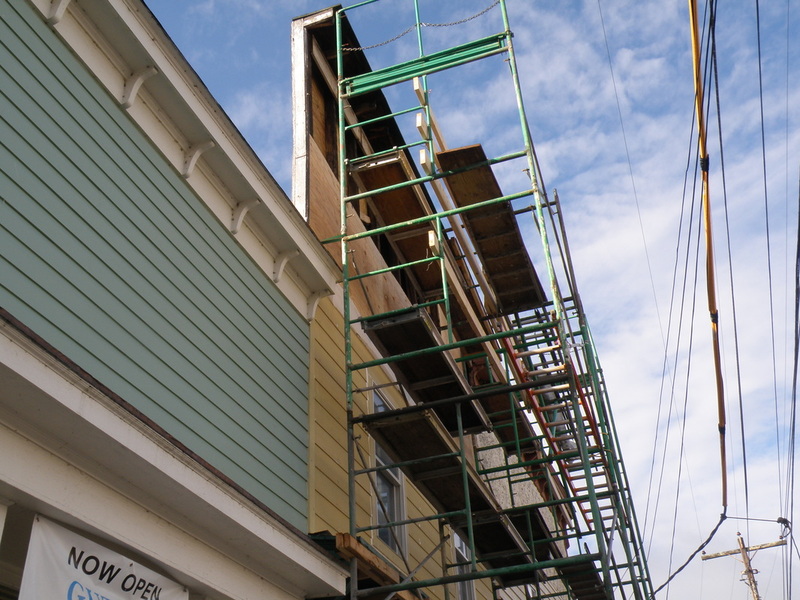 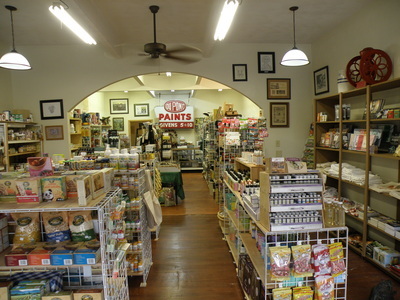 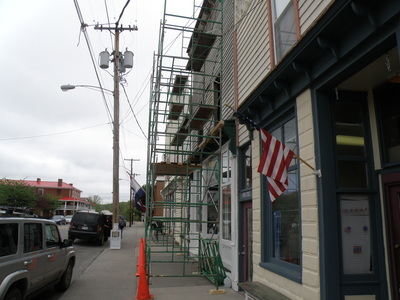 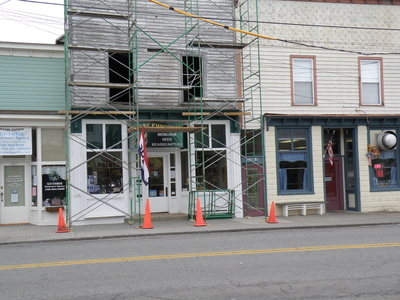 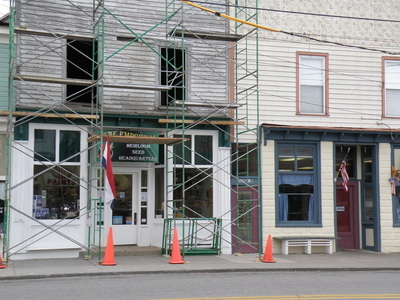 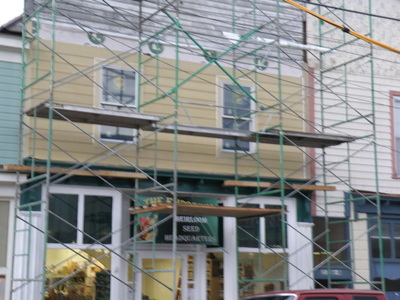 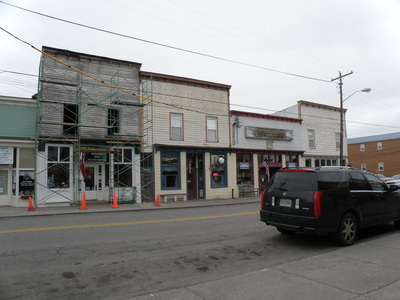 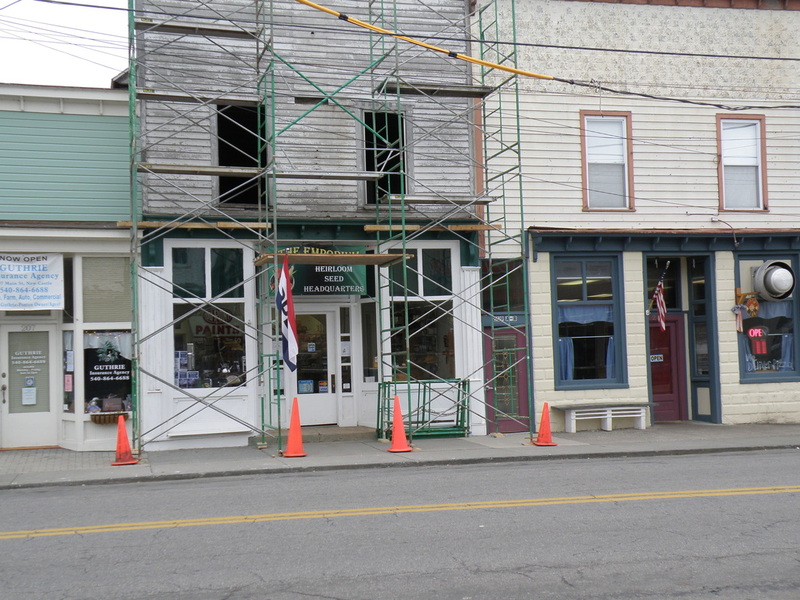 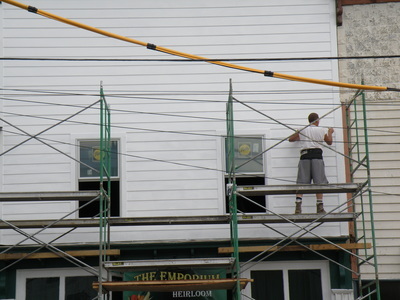 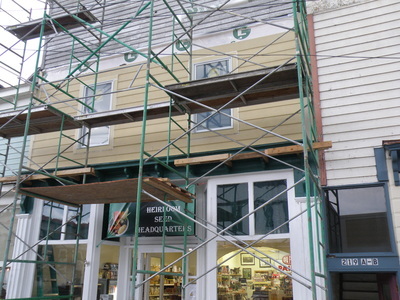 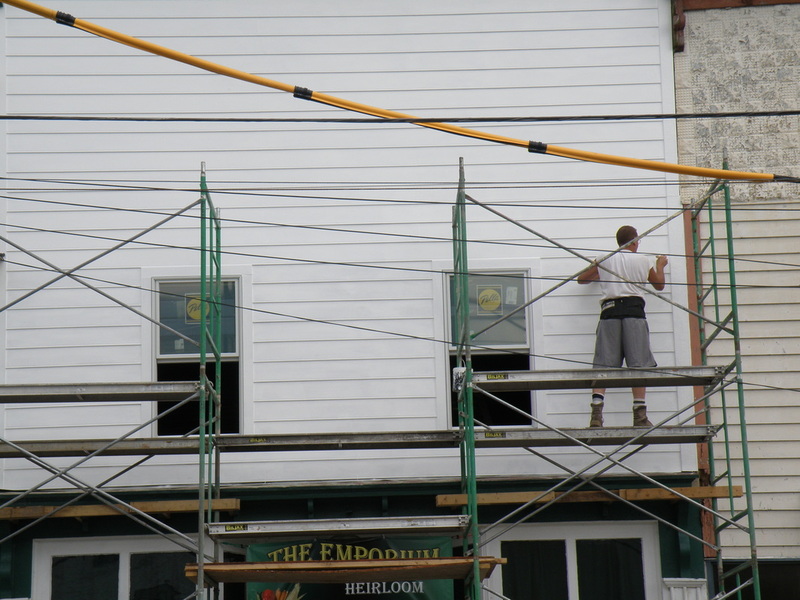 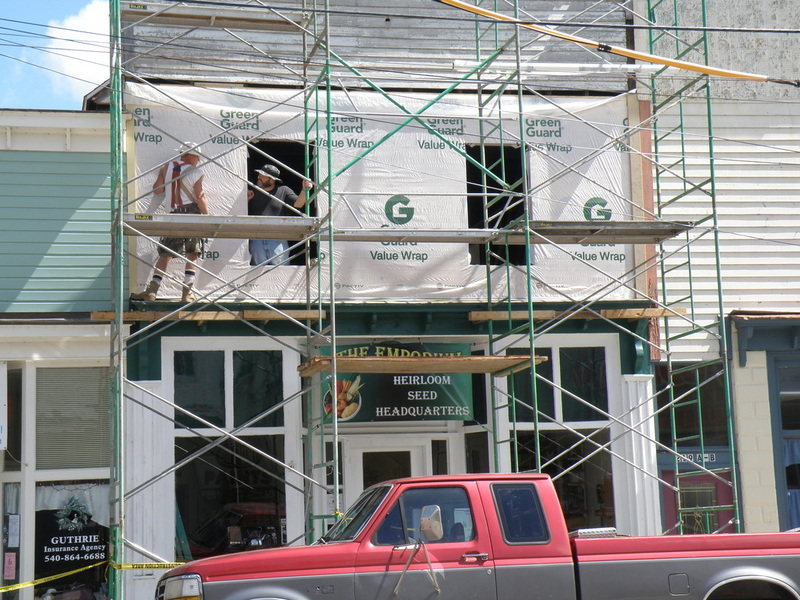 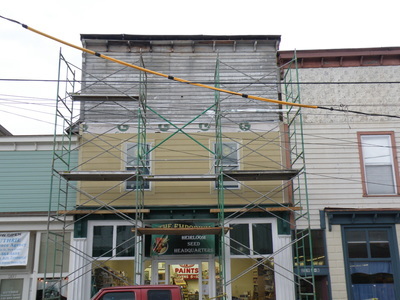 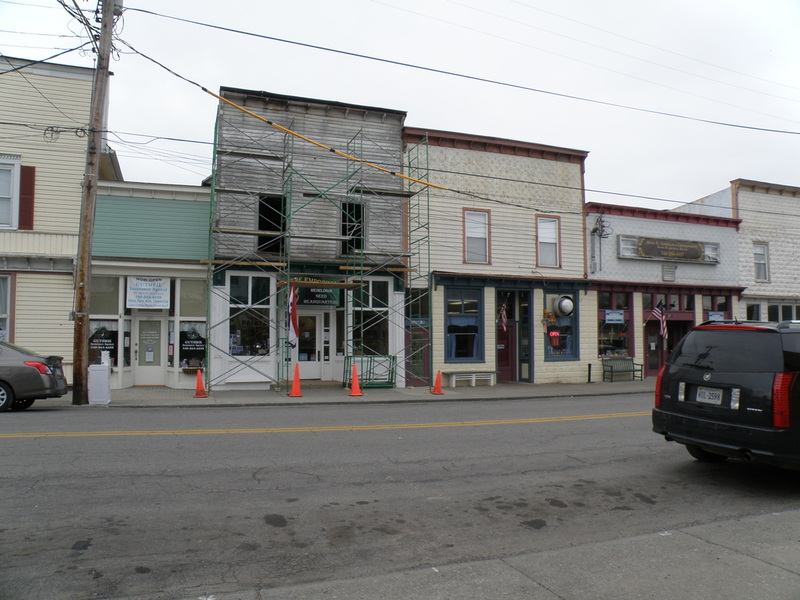 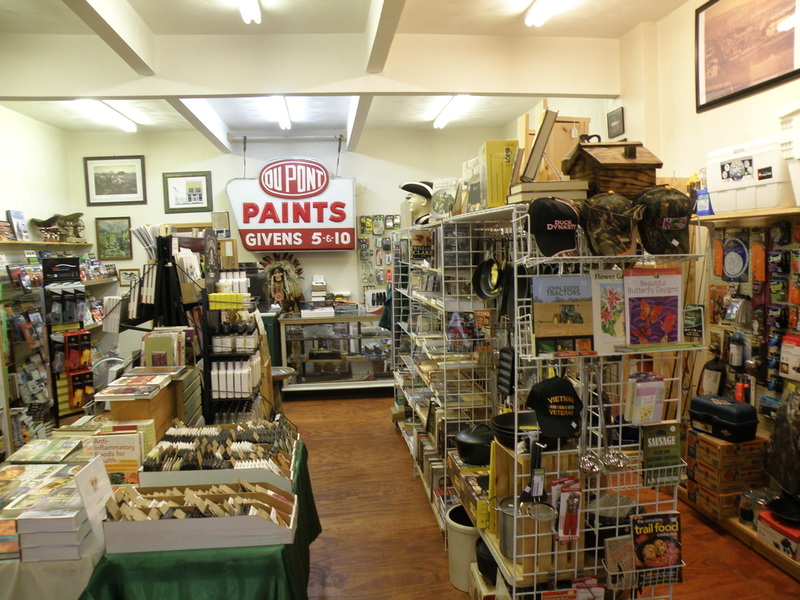 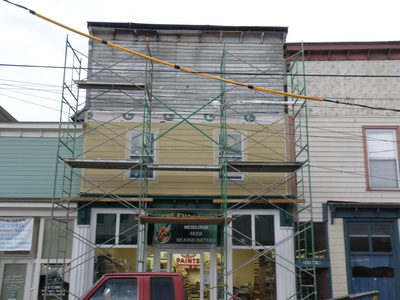 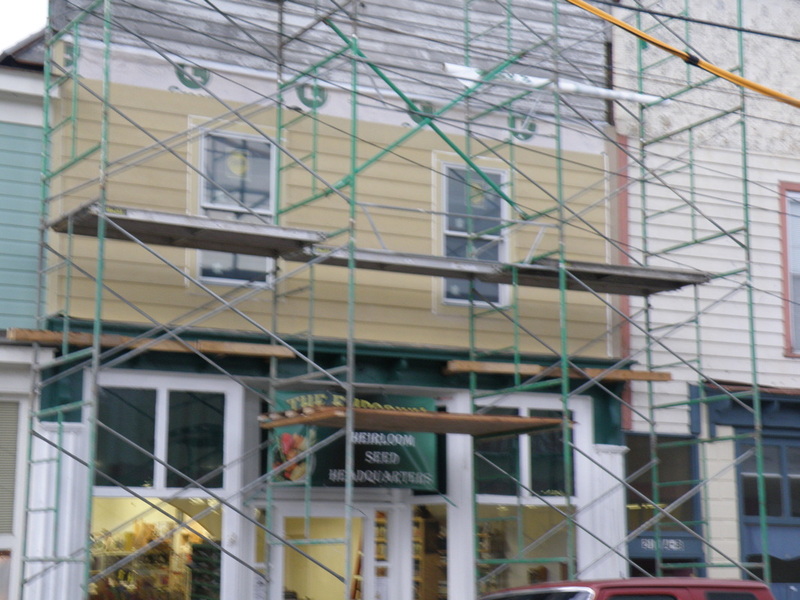 We had previously painted the storefront, but the remainder of the front, the sides and back needed to be replaced and painted. 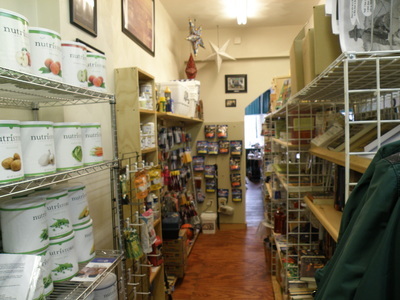 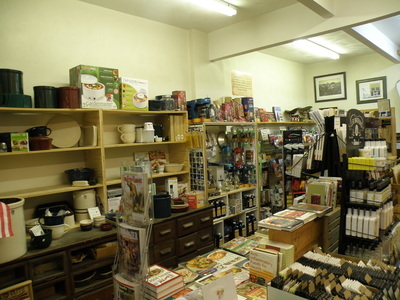 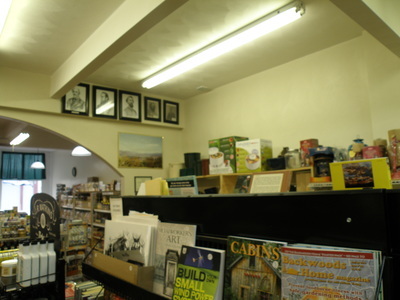 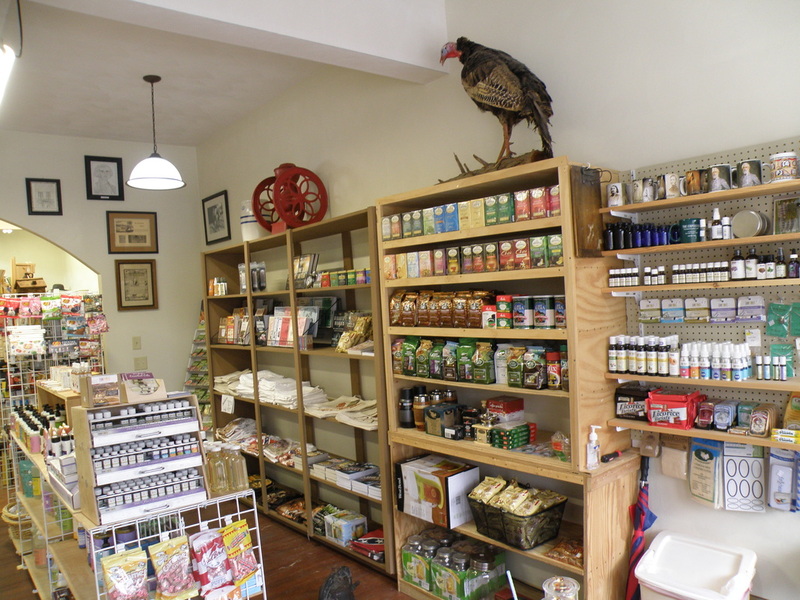 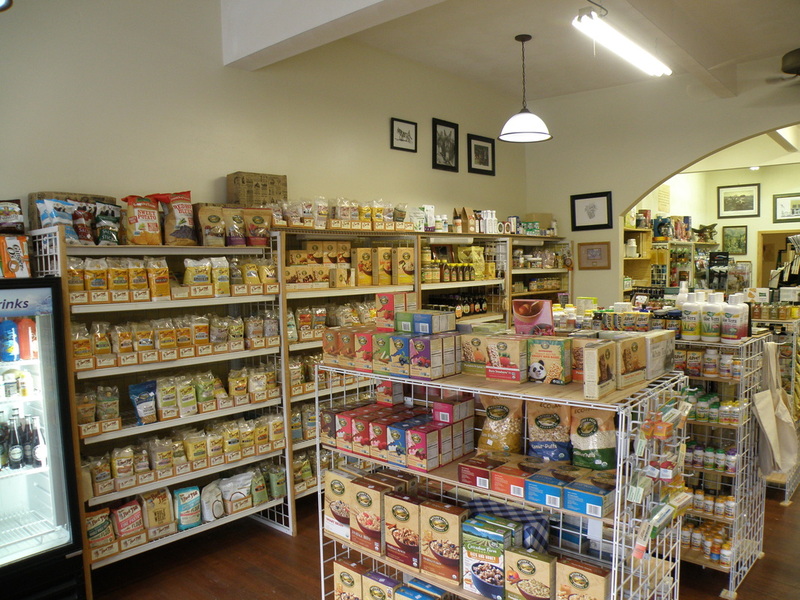 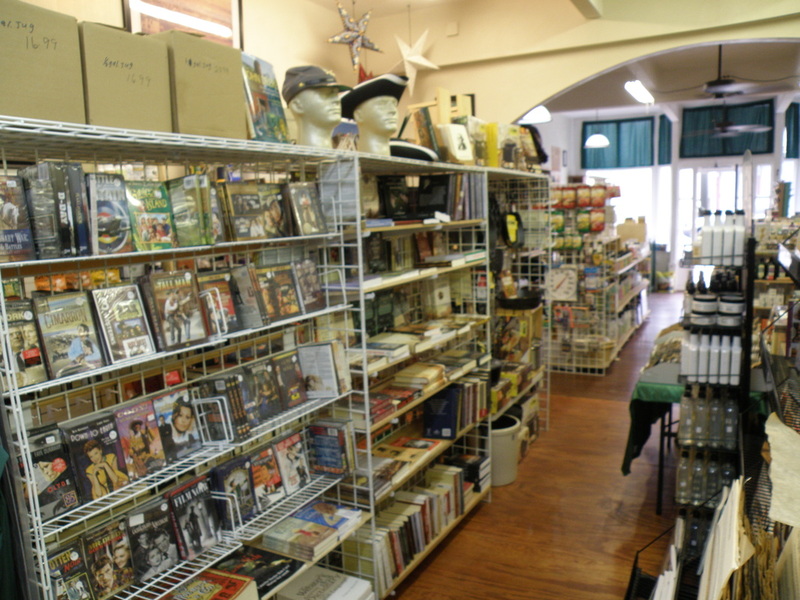 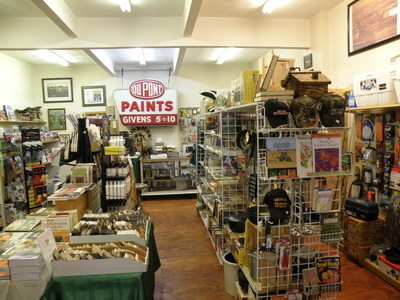 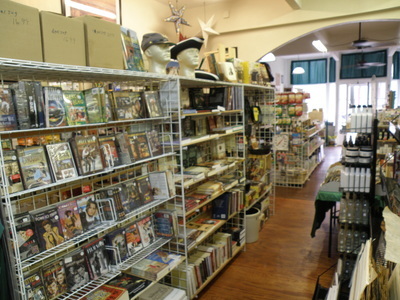 The small original front room was redone to match the newer improvements made as the store expanded into the unfinished spaces. 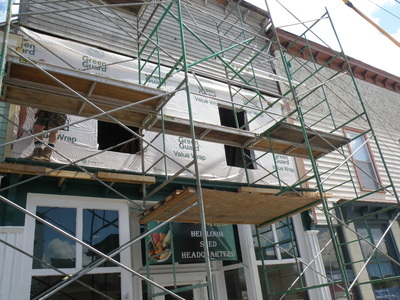 We hope you enjoy the pictures of the latest improvements. 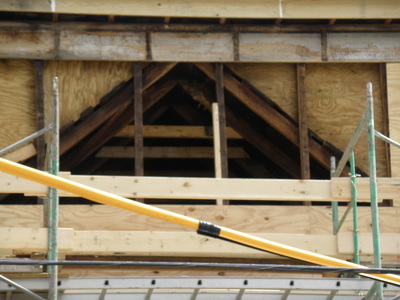 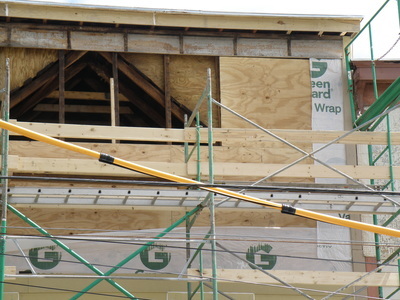 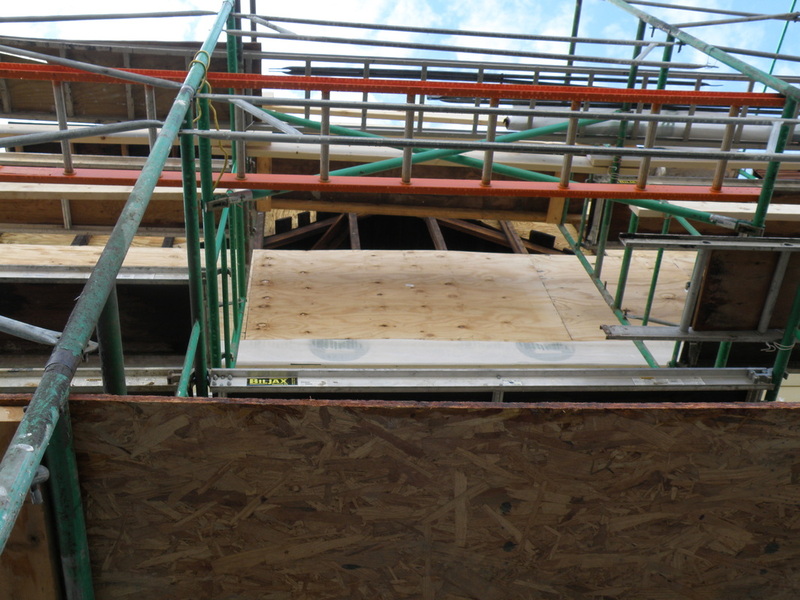 Prior to these being taken, the upstairs had been cleared back to the original framing. 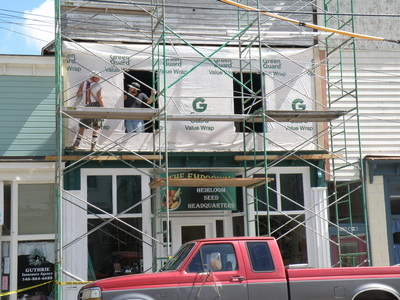 We want to thank all who helped. 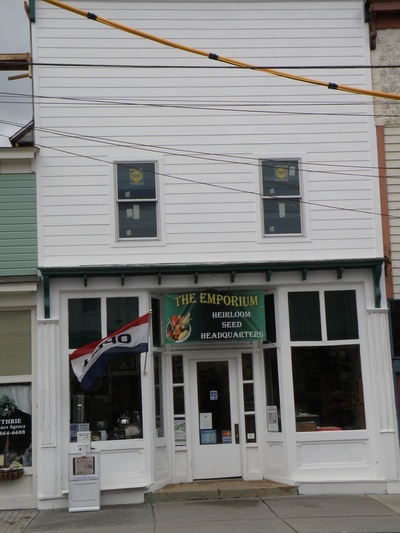 If you are in need of remodeling help, we can highly recommend the people who have worked on The Emporium over the past four years.